If you’ve been loosing your sleep about the megapixel war coming to an end – rest assured it won’t be anytime soon. 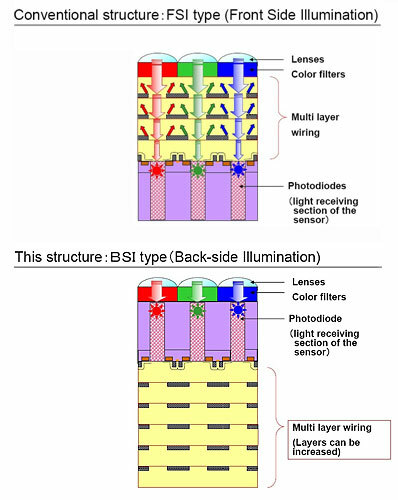 Toshiba just announced their 14 megapixel 1/2.3” back-lit CMOS image sensor, intended for use in mobile phones and digicams. Today HTC launched their brand redesign choosing “Quietly Brilliant” as a slogan in favor of their old “HTC Innovation”. The new HTC brand identity is more easy-going with light-colored backgrounds and handwritten fonts. The thing that I enjoy the most is that their once pitch-black film-noir website color scheme is redesigned as well with a more lively feel in mind. I would have liked it even better if they went for something more colorful instead of simply switching from black to white overnight, but I’ll take it as it is. Now that the latest Microsoft desktop OS is officially out in the stores, I guess many of you will be taking the upgrade route. Vista was hardly up to scratch and the good thing is that Windows 7 took all of its good features (yes, there were some) and delivered it in an even more eye pleasing package with a lot of improvements. The most important aspect that have been taken care of is performance. Some of us (the GSMArena.com blog team) have been using Windows 7 as primary work/leisure OS ever since it came out as a public beta. And let us tell you, we’re quite pleased with what Microsoft have put forth this time (unlike Windows Mobile 6.5). In case you’re on your way to upgrading, here’s a rundown of all the nitty gritty Windows 7 features and hacks that deserve your attention.